Frank Klepacki has worked on titles for most top publishers in the video game industry including WESTWOOD STUDIOS, LUCASARTS, ELECTRONIC ARTS, SEGA, UBI SOFT, DISNEY, SSI, HASBRO, and VIRGIN INTERACTIVE. Currently the Audio Director at PETROGLYPH, he services multiple music composition styles for a variety of game genres, major TV network shows, as well as full audio direction, sound design, and voice talent. In 1992, Klepacki scored the first Real Time Strategy in history, Dune II. In 1995, he pushed the limits of music in the game industry in what would become one of the biggest game franchises, COMMAND & CONQUER. It’s score was among the first to break ground with a music style that had cross-over commercial appeal in a computer game that would merit it’s own stand alone soundtrack. Moreover, he won the PC Gamer award for Best Game Soundtrack for C&C: RED ALERT. In 2012, it’s main theme “Hell March” was ranked #7 of top 100 video game themes of all time by Computerandvideogames.com. By the year 2000, Frank moved into television and film, licensing music for HBO and ABC. He released several independent albums via website and digital distribution. Since 2003, he has been a regularly featured recording artist on the ULTIMATE FIGHTING CHAMPIONSHIP programs on Pay-Per-View, Spike TV, and FOX Sports. In 2007, he scored entire shows for HDNET FIGHTS and INSIDE MMA, and since 2011-present, has recurring music placements in several dozen shows including Americas Got Talent, Top Gear, and Pawn Stars. From 2008-2011, Klepacki was the touring drummer for The Family Stone, featuring original rock & roll hall of fame inductee members of Sly & The Family Stone, Jerry Martini and Cynthia Robinson. He also guest performs select dates as a guitarist / composer with symphonies around the world for the shows Video Games Live and Games In Concert. 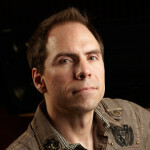 Since 2004, Klepacki has been the full-time Audio Director at PETROGLYPH, the developer of STAR WARS: EMPIRE AT WAR, and GREY GOO.